Boho chic parties are huge on Catch My Party, so we wanted to come up with an easy boho craft that would look great at a girl birthday, baby shower, bridal shower, and also as a decoration in a girl's bedroom. And what could be more boho chic than a dreamcatcher with pretty flowers?! 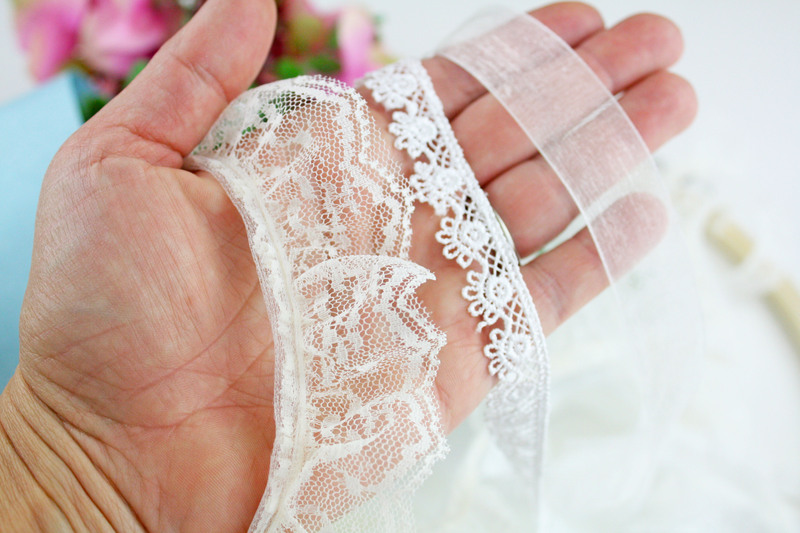 See how simple this is to make! 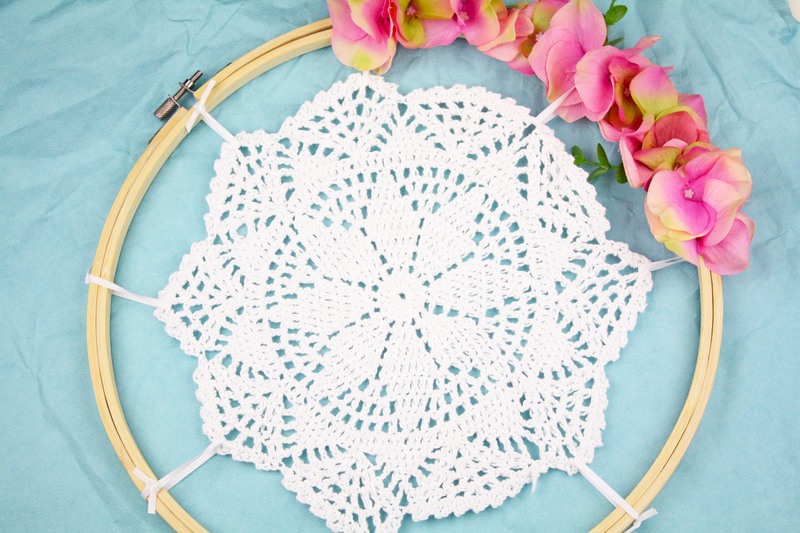 Use the white ribbon to tie the crocheted doily into place on the embroidery hoop. 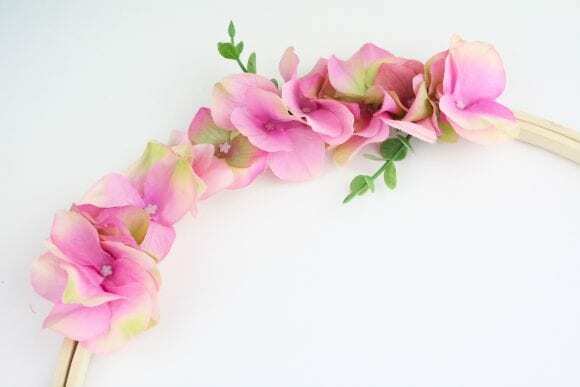 I used one stem of faux flower and a few leaves off the greenery stem. 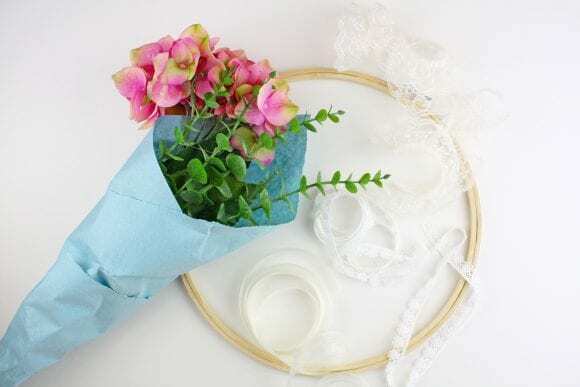 Pull the flowers off the stems and cut off the plastic tip on the backs. 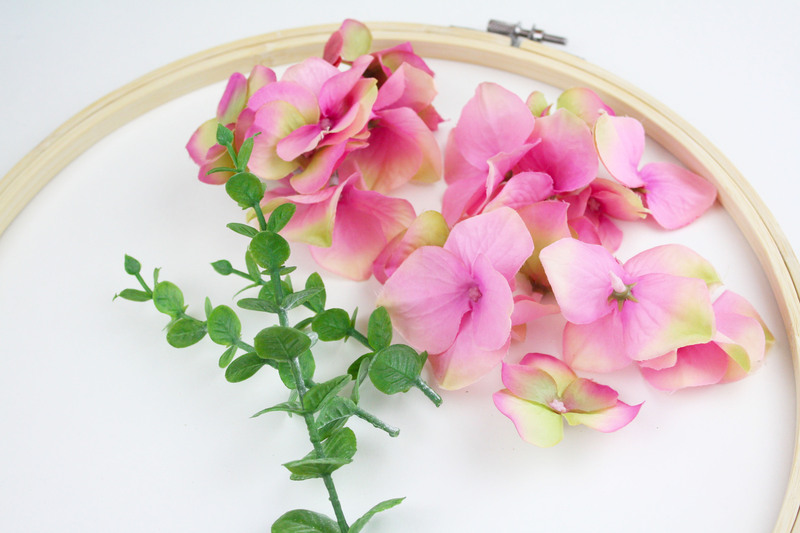 Using a glue gun, attach the flowers to the frame of the embroidery hoop. I loosened the hoop slightly so I could press the flowers in between the two frames. Add a many or as little flowers as you like. Add in a few stems of the greenery. Glue in place. Cut the ribbon in various lengths. 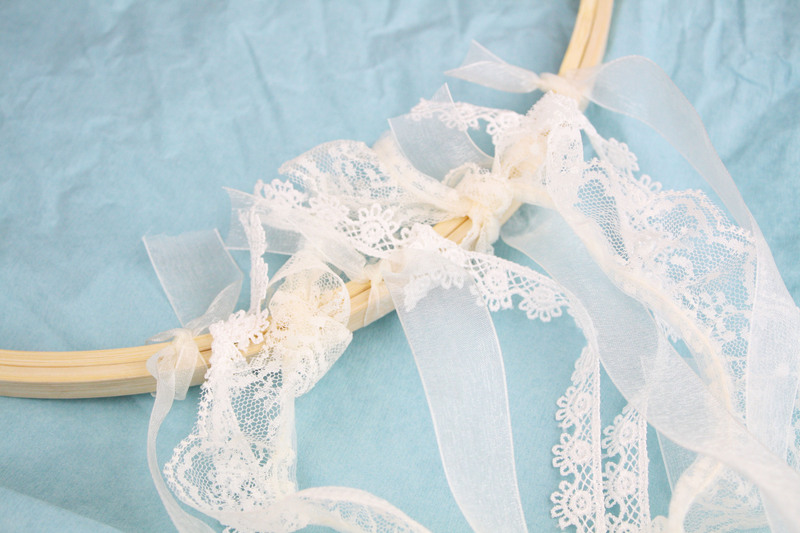 Tie the ribbon onto the bottom of the embroidery hoop, alternating the patterns. 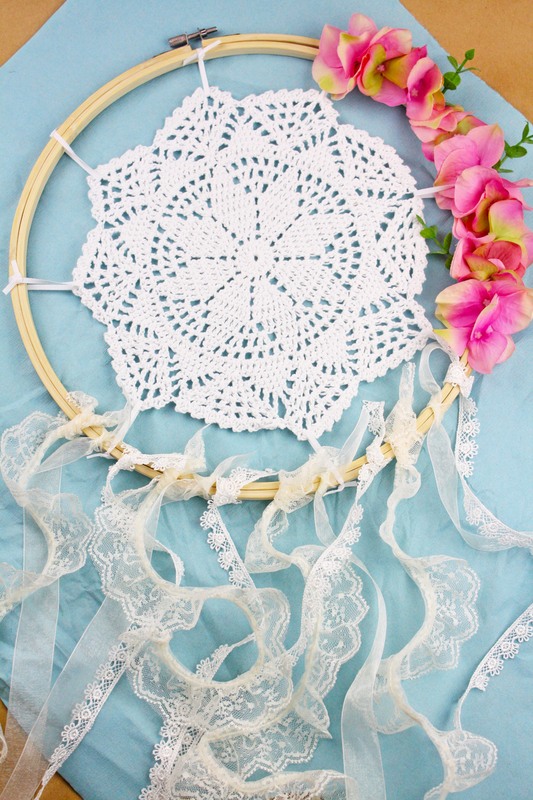 Use twine or ribbon to hang the gorgeous boho chic wreath! 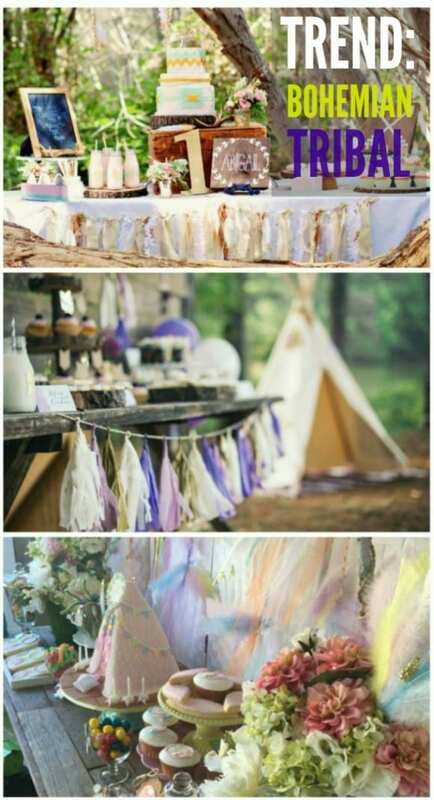 For more inspiration, check out all the amazing boho chic parties on our site and all our boho party supplies! This pretty craft was created by our style contributor, Shauna at Ella and Annie. Check out her work on her blog and on Instagram, Facebook, Pinterest, and Twitter. I love this idea! 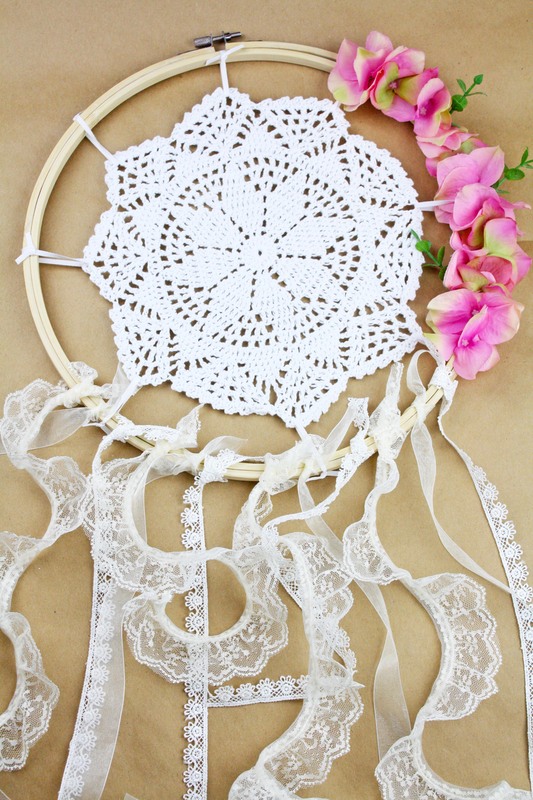 The lace on the dreamcatcher is beautiful!